The state of Ohio launched a legal left hook Wednesday with a lawsuit aimed directly at Big Pharma and five of the biggest prescription painkiller manufacturers. The state’s lawsuit accuses the firms — Janssen Pharmaceuticals, Allergan, Purdue Pharma, Endo and Cephalon — of “borrowing a page from Big Tobacco’s playbook” and downplaying the risks of using powerful drugs like OxyContin and Percocet. “Opioids have become the main source of unintentional drug overdose in the state,” the suit contends. Ohio is the second state, after Mississippi, to go directly after Big Pharma. 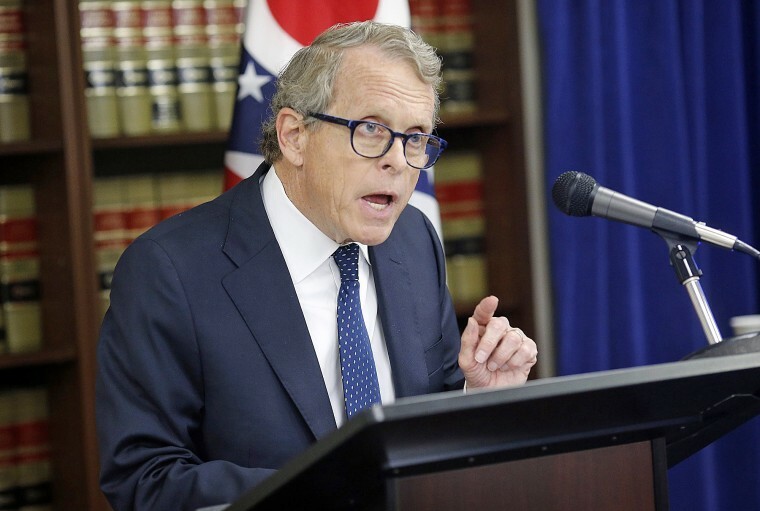 DeWine accused the drug makers of violating multiple state laws, including the Ohio Corrupt Practices Act, and of committing Medicaid fraud. Like the cigarette makers, the drug makers relied on “sales representatives” and influential doctors and “seemingly neutral and credible professional societies and patient advocacy groups” to tout the supposed benefits of long-term opioid use “even though there is no ‘good evidence’ to support” those claims, the suit states. The attorney general's office later confirmed to NBC News that a DeWine political action committee got a $500 campaign contribution in November 2011 from Endo, one of the companies named in the lawsuit. Purdue Pharma, in its response to the lawsuit, said OxyContin accounts for less than 2 percent of the opioid prescription painkillers sold nationally. "But we are an industry leader in the development of abuse-deterrent technology, advocating for the use of prescription drug monitoring programs and supporting access to Naloxone — all important components for combating the opioid crisis," the company said in a statement. Naloxone is an anti-overdose treatment. Janssen Pharmaceuticals called allegations in the lawsuit "both legally and factually unfounded." Allergan had no comment. And there was no immediate response to DeWine’s suit from the other targeted companies. Ohio is one of the states that has been hardest hit by the opioid epidemic. It is ravaging rural areas, as well the capital city of Columbus, where in the first two months of this year officials were logging one deadly overdose per day. Generally, the victims were killed by heroin cut with fentanyl, a powerful painkiller smuggled into the country from Mexico and China that the U.S. Drug Enforcement Administration says is 25 to 50 times more powerful than heroin and packs 50 to 100 times more punch than morphine.